Tiffany 16" billiard lamp. Custom art on stained glass panels. Metal channeling, pull chain for on/off operation. 110V household outlets. Recommended bulb wattage 60" W (not included.) Three prong cord measures 115" in length, has metal hanging chains. Indoor/outdoor six mil. Vinyl. Header live area, 23" x 3"(two impressions). Corner Live Area: 4 1/2" x 3" (Four Impressions). Less than $ 200 in the minimum of 1. 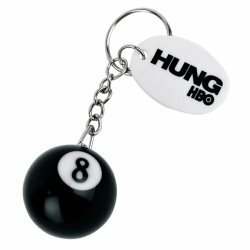 Cue up the start of your next marketing campaign by handing out these billiard ball keychains! Measuring 1 1/4" in diameter, they feature the numbers listed on both sides of the ball. Your custom imprint will be printed in between the numbers but if larger imprints are needed, a white or black oval disc can be attached to the keychain at no additional charge. 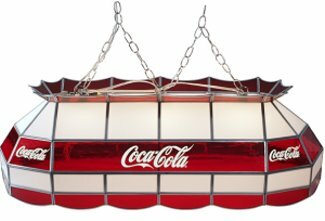 Ideal for local pubs and sport competitions. (Asst of numbers and colors may vary.) Custom imprint on the ball is 5/8" and 1" X 5/8" on the disc. Less than $ 1.30 in the minimum of 300. 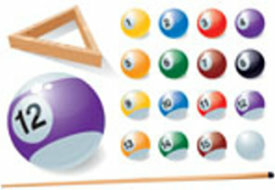 A perfect rack is crucial to the game of billiards. 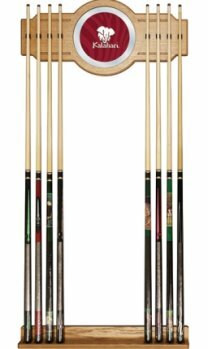 Ensure your balls are precisely racked up in this customized 11 3/4" X 12 5/8" X 1 1/4" billiard ball rack. High impact styrene construction guarantees a long-lasting rack that holds its shape. Each side and point of the rack features your custom art. Four color digitally printed logo vinyl application: Indoor/outdoor six mil. vinyl. Less than $ 18 each in the minimum of 6. 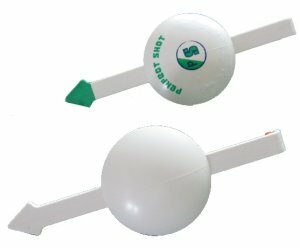 Jumbo size 2" X 3 13/16" X pool ball shape magnetic bottle opener. Big imprint area for logo. Strong refrigerator magnet. Solid metal construction for the opener. Affordable and long-lasting. Every household loves it! 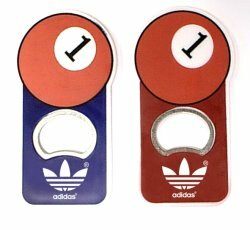 Ideal for billiards, Snooker game, beverage, bottle, sports and self promos. T he custom imprint area is 1 1/2" X 11/16". Less than $ 1.45 each in the minimum of 100. If you're looking for a fun executive gift then look no further. You'll be calling the shots with such a great product! 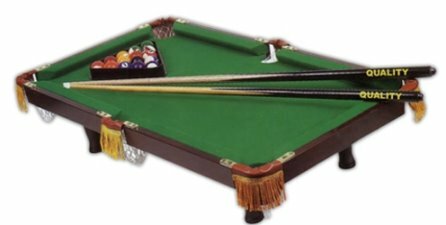 This 36" X 20" X 7 1/4"" table top billiard set is made from real wood and comes complete with balls, diamond rack, cue sticks, netted holders and brass fasteners. Customize with a pad print or silkscreen imprint and use to promote pool halls and billiard competitions. The custom imprint area is 13" X 5". Less than $ 60 each in the minimum of 100. Designed for use at home or in the office! 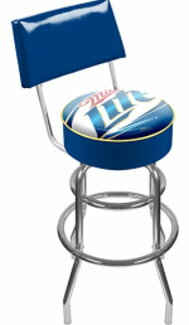 Bar stool with back. The stool seat is customizable with the art of your choice, highlighted by durable marine grade vinyl sides trimmed with quarter inch vinyl beading. The seat also includes luxurious foam padding and a 360 degree swivel. Chrome double rung reinforced legs are made of tubular steel that is both lightweight and supportive. Marine grade vinyl trim and side, overall dimensions: 20" x 20" x 41 3/4". Custom imprint area is 12" X 6". Less than $ 135 in the minimum of one. 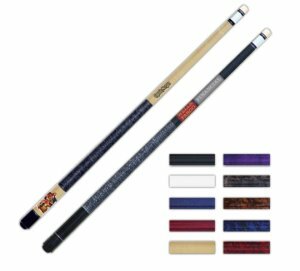 The Classic looking 58" pool cue with wrap feature a stainless steel joint with silver rings on other side and an additional silver ring located near the bottom of the cue. The shafts are made of hard rock maple. These cues have a pro taper, 13mm ferrule and a medium hard tip. This cue can be customized to match your campaign, and can be imprinted or engraved with your company name or logo. The custom imprint area is 3 1/4" X 4" or 9 3/4" X 2 3/4". Less than $ 50 each in the minimum of 100. Pool table brush made with basic nylon bristles inserted into beautiful wooden handle, which can be customized with company name or logo. 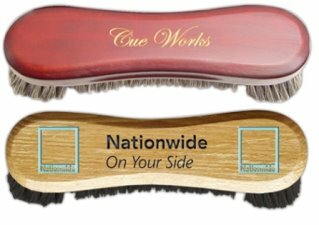 The 1" X 9"Brush is available in a variety of colors to coordinate with your campaign. Your custom imprint area is 1" X 9". Less than $12.25 each in the minimum of 100. Deluxe numbere d 2 1/4"billiard ball. Single balls numbered 1-15. These balls can be trophies, replacements for sets or can be made into their own set. 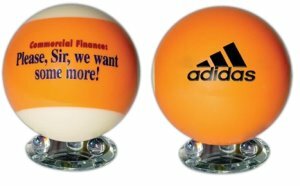 These balls can be customized with your company logo or name. Display stand sold separately. Custom imprint area is 3/4" X 2". Less than $ 10.25 each in the minimum of 100. Eight billiard ball replica. The number "8" is listed on both sides of the ballball. Imprint goes on white or black plastic oval tag in a 1 1/4" area. Cue it up! Less than $ 1.30 each in the minimum of 300. You have a great pool table and all the accessories, but you can't walk through your game room without tripping over pool cues. Why not treat yourself to this custom high-end furniture grade cue rack. Protect your cue tips along with the pictures on the wall while displaying your custom logo. This two piece oak veneered wood cue rack is highlighted with an inlaid mirror that has the full color logo. Custom imprint area is 8" in diameter. Less than $ 142 each in the minimum of one. Billiard Training Aid. 0.25 oz. Plastic billiard game improvement toy. Top surface is 1.5 in. diameter for excellent logo, URL visibility, and easy pad print. 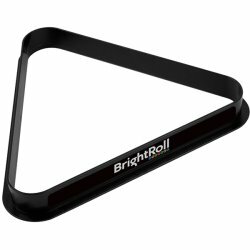 For use at company campaigns, tradeshow giveaways; sport centers, birthday gift, stocking stuffer, training, educational toy and learning tool, etc. Product 2 " x 4" and 0.25 0z. Economical and durable. Color standard white. Choose your own imprint colors for customization. One standard shape. Custom imprint area is 1 1/2". less than $ 10.25 each in the minimum of 25. 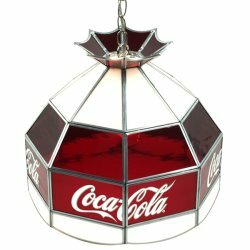 Tiffany billiard lamp. 40". Custom art on stained glass panels. Metal channeling, pull chain for on/off operation. 110V household outlets. Recommended bulb wattage 60" W (not included.) Three prong cord measures 115" in length, has metal hanging chains. Indoor/outdoor six mil. Vinyl. Header live area, 23" x 3"(two impressions). Corner Live Area: 4 1/2" x 3" (Four Impressions). Less than $ 430 in minimum of 1. 24" folding stool. Having some friends over for the big game, but limited on seating? Looking for an inexpensive way to add seats without taking up a lot of room or wasting money on renting? Well this custom cushioned folding stool is the way to go! 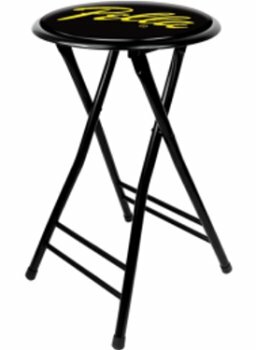 Impress your friends with your comfortable custom imprinted folding stool 14.17" round cushioned top: Spring loaded safety lock. Ergonomic. Space saving design.Less than $ 42 each in the minimum of two.